Do Fuel Cells Have a Future? Fuel cells are becoming more common throughout the world in various industries. These energy systems are being praised for their ability to produce large amounts of electrical power but do so without also producing harmful emissions. They are ideal for industrial purposes, especially as an in-door energy provider, and are becoming more prominent in the residential and transportation sectors. Despite their growing popularity, fuel cells face an uncertain future. While fuel cells are effective energy providers, they are also faced with many challenges that may put their future in jeopardy if not resolved. One of the most significant of these challenges have to do with their cost. Fuel cells are notoriously expensive. Most of the conventional types of these energy systems make use of a catalyst comprised of platinum. This platinum, along with other expensive materials, contributed to the high cost of fuel cell systems. In some cases, the upfront cost of these energy systems can be so high that they are not viable for certain purposes. Another problem, and one that pertains primarily to transportation, is the lack of a hydrogen fuel infrastructure. Not all fuel cells use hydrogen to produce electrical power, but these types of cells are used in the auto industry to power a new generation of clean vehicles. Many automakers are promoting these vehicles heavily, but without a fuel infrastructure in place to support them these vehicles are not likely to find any success. Whether fuel cells have a future is difficult to say for certain. In the past, promising technologies have fallen into obsolescence before rising to prominence because a better alternative was found. 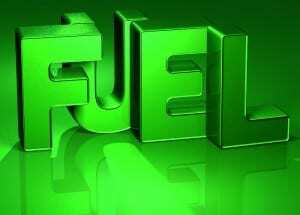 This may not be the case with fuel cells, however, as they have become the subject of extensive research in the clean technology and energy fields. This research has lead to significant breakthroughs in fuel cell technology, making these energy systems significantly less expensive and more efficient than they had been in the past. If researchers can continue to find ways to improve fuel cells, and then commercialize these breakthroughs, these energy systems may have a very bright future ahead of them.